Public colleges function to serve the populations in their respective state. Out-of-state students are usually required to pay a premium to attend public colleges, and are willing to compete for the opportunity to do so. Do public colleges have any incentive to recruit in-state students anymore? Read this article from The Atlantic. That article details a nationwide trend in public higher education wherein the proportion of in-state to out-of-state students is becoming nearly equal. When out-of-state students try to gain admission to a public college in a different state, it boosts the national profile of that college and creates a larger applicant pool. The result: more selective admissions at that public college. Besides gains in selectivity, the college will benefit from increased revenues from those out-of-state students, some of whom could pay over 50% more than their in-state peers. With public colleges clamoring for out-of-staters, though, in-state students are slowly being marginalized as revenue-raising tactics infiltrate administrations nationwide. 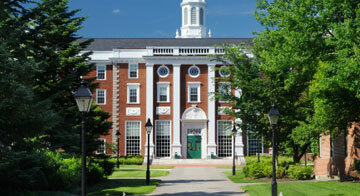 What do you think about the trend of recruiting out-of-state students for public institutions? We would love to hear your comments below.